Photo: Aerial view of a volcanic eruption. Magma bursts from a volcanic eruption at hte Pu'u Huluhulu volcanic vent on Mount Kilauea, Hawaii. For years, Kilauea was thought to be a part of the neighboring volcano of Mauna Loa. 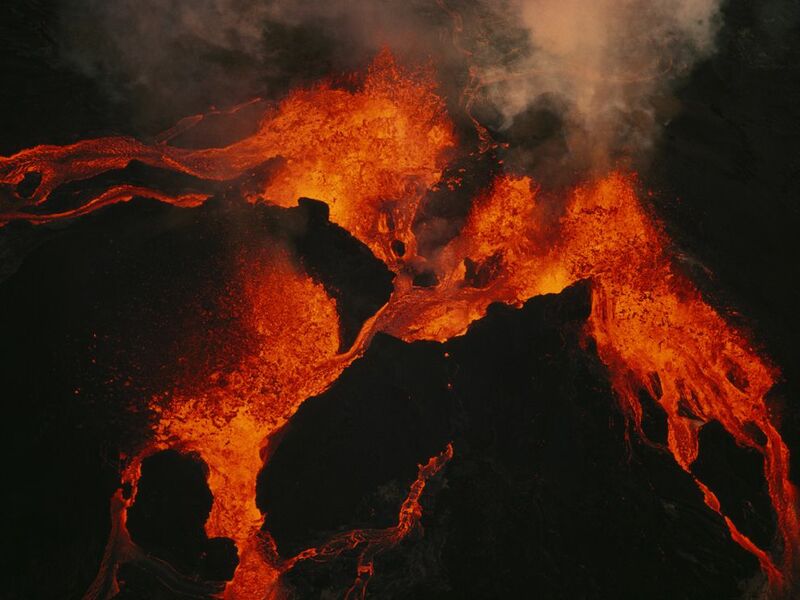 Geological tests of the region showed that Kilauea has its own "magma plumbing system," however. A hot spot is a region deep within the Earth’s mantle from which heat rises by convection. Magma is a mixture of molten and semi-molten rock found beneath the surface of the Earth.